Generally on Mondays we talk about songs involving diamonds, engagement rings or other jewelry. Today we are spreading the word to try to reunite a diamond ring with the owner. 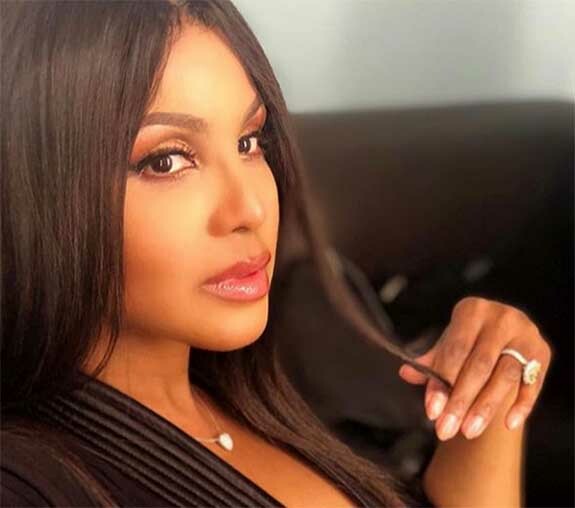 Singer Toni Braxton is hoping that one of her almost three million Instagram followers knows the whereabouts of "Bonnie," the Grammy award winning singer's $5 million, 10 carat canary yellow diamond engagement ring. Bonnie was lost last week on a cross country Delta flight from JFK in New York to LAX in Los Angeles. The 51 year old singer had packed the cushion cut diamond ring and other valuable jewels in a Louis Vuitton train case and placed it in the overhead bin. Unfortunately, she forgot to remove it when she deplaned. It's fair to assume that Bonnie made that trip, as well, and she was properly secured on the performer's finger or in her carry on bag. • Pack light and take only the jewelry you’ll wear while traveling and at your destination. The 4 carat diamond ring you save for special occasions? Probably not. The pearls that go with everything? Definitely.